This blog discusses a not so well-known rule regarding the filtering in multistage decimation and interpolation by an integer power of two. I'm referring to sample rate change systems using half-band lowpass filters (LPFs) as shown in Figure 1. Here's the story. Figure 2(a) depicts the process of decimation by an integer factor D. That is, lowpass FIR (linear-phase) filtering followed by downsampling. The downsampling operation '↓D' means discard all but every Dth input sample. When the desired decimation factor D is large, say D > 10, a large number of multipliers is necessary within the tapped-delay line of lowpass filter LPF0. Early DSP pioneers, upon whose shoulders we stand, determined that a more computationally efficient scheme uses multiple decimation stages as shown in Figure 2(b). There the product of integers D1 and D2 is our desired overall decimation factor, that is, D1D2 = D. The point is, in Figure 2 the sum of the number of multipliers in filters LPF1 and LPF2 will be significantly less than the number of multipliers in LPF0. And, happily, in real-time operations the LPF2 filter operates at a lower clock rate than the LPF0 filter. So for decimation by D = 10, the smart thing to do is use the Figure 2(b) implementation where D1 = 2 and D2 = 5. Let's now look at multistage decimation by an integer power of two. The first focus of this blog is multistage decimation by an integer power of two, such as the decimation by D = 8 process shown in Figure 3. The hn[k] variables in that figure represent the coefficients of the lowpass FIR filters. lowpass filters. Filter impulse responses are hn[k]. Multistage decimation by an integer power of two is super efficient because all the filters are half-band lowpass filters, where roughly every other filter coefficient is zero-valued. (For example, a 31-tap half-band filter will have only 17 nonzero-valued coefficients). Figure 3 is to use three different half-band filters. As it turns out, the number of h1[k] coefficients can be less than the number of h2[k] coefficients. And the number of h2[k] coefficients can be less than the number of h3[k] coefficients. We prove this important principle by way of example starting with Figure 4. That figure shows the spectra of the outputs of the initial operations in Figure 3 when fs,in = 8 kHz. Figure 4(a) shows the spectrum of our x[n] input signal and the dashed lines in Figure 4(b) show the frequency magnitude response, |H1(f)|, of our first half-band filter. Figure 4(c) shows that filter's |A(f)| output spectrum. Figure 4(d) shows that after our first downsample by two operation aliasing does occur. 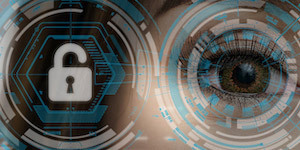 However, that aliased spectral energy (which does not contaminate the spectrum of our dark-shaded signal of interest) will be eliminated in the follow on filtering. Figure 5 shows the spectra of the outputs of the remaining operations in Figure 3. For decimation: N1 < N2 < N3. Thus in our relentless pursuit of computational efficiency, for optimum multistage decimation those three half-band filters will each have a different number of multipliers. That situation is the main point I wanted to make in this blog. Let's conclude this blog by taking a quick look at multistage interpolation by an integer power of two. Figure 6 depicts multistage interpolation by the factor I = 8. An upsampling operation '↑2' means insert one zero-valued sample between each of the upsampler's input samples. The lowpass filters in Figure 6 are linear-phase, symmetrical-coefficient, half-band filters. Similar to the multistage decimation in Figure 3, the most efficient implementation of Figure 6's multistage interpolation is to use three different half-band filters. That is, in Figure 6 the number of h3[k] coefficients can be less than the number of h2[k] coefficients. And the number of h2[k] coefficients can be less than the number of h1[k] coefficients. We show this situation by way of example starting with Figure 7. That figure shows the spectra of the outputs of the initial operations in Figure 6 when fs,in = 1000 Hz. Figure 7(a) shows the spectrum of our x[n] input signal. Figure 7(b) shows the spectrum of Figure 6's upsampled by 2 a[n] sequence. The shaded spectral components in Figure 7(b) are the spectral images generated by our first upsampling by two operation. An explanation of why those images exist is given in reference . The dashed lines in Figure 7(b) show the frequency magnitude response, |H1(f)|, of our first half-band filter whose function is to eliminate the unwanted shaded spectral images in |A(f)|. Figure 7(c) shows that filter's |A(f)| output spectrum. Figure 8 shows the output spectra of the four remaining operations in Figure 6. For interpolation: N1 > N2 > N3. I have shown that multistage sample rate change by an integer power of two is most computationally efficient when the half-band filters each have a different number of multipliers. To quote Forrest Gump, "And that's all I have to say about that." Evgeny Filatov. Private communication. Dec. 20, 2014. Wolfram Humann. Private communication. Dec. 18, 2015. Just to add the perspective of FPGA. Here we are also concerned about the design effort (for manual coding at least) and associated bugs and testing. Thus a single stage FIR may also have to be considered and may be preferred over a cascade of filters. In some other cases a multistage offers additionally support for more than one configuration of rate change. For CDMA/LTE Tx/Rx chains we do cascading (3 to 4 stages). I know it turns out better but I don't have a clear explanation as exactly why and is it at expense of design time. In your 2nd paragraph you wrote, "I know it turns out better but I don't have a clear explanation as exactly why." Are you saying that you don't know why, for example, multistage decimation is more computationally efficient than single-stage decimation? Yes, it can be proven by way of examples but I haven't seen any analytical study and how to relate single filter resource versus multistage case such in the form of equations or just plots of resource saving. 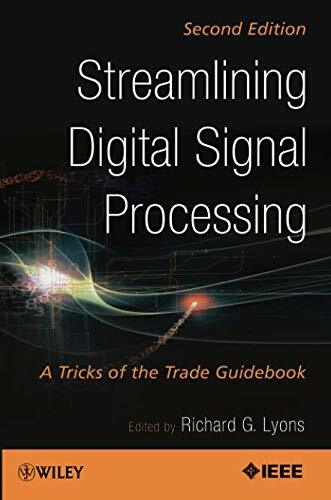 Have you considered the case when the purpose of the filtering is not to discard,signal (as in a radio receiver), but to analyze it, by separating signal power into bands? For example, let's say that you want to analyze an audio signal by octaves. Audio signal comes into first filter block, and out comes 10-20 KHz, and 0-10 Khz. The 0-10Khz output is decimated by 2 and fed into a second filter block exactly identical to the first, except the sample rate is half, and so on, for as many bands as we desire. If we then square law detect and low-pass filter (to 10 Hz) each band, we have a power versus octave output. If you look at each step, each is totally symmetrical to the rest, so the filtering should be identical. In the case you present, the problem is unsymmetrical as the ratio of signal bandwidth to sample rate changes for each (by the decimation factor). With passband and stopband design constraints it may not always be possible to reduce the filter size at each decimation stage. Hi DirkDoesDSP. I just now saw your comment! Id like to know more about the passband constraints you have in mind. Hi Joy. Your question amazes me. Im accustomed to thinking about long-length input sequences applied to FIR filters having relatively few taps. But just this week I encountered a telemetry signal processing application where the input signal is much shorter in length than the number of taps in an FIR filter. Im just now trying to figure out what will be a filters behavior in such a scenario. And what happened? You asked me the same question that Ive been asking myself! Joy, please forgive me. I dont have an answer to your short-length input sequences question off the top of my head right now, but I am going to study the situation youre asking about. Ill either answer you in a future Reply here or if I learn something of interest Ill write a new blog addressing your question. Hi Joy. After a little more thought it occurred to me that for an N-tap FIR filter the first N-1 output samples are not valid. That is, the first N-1 output samples are NOT a filtered version of the first N-1 input samples. So, at the moment Im thinking that it makes no sense to pass a short input sequence through a long FIR filter. Thank you so much for your reply. Sorry, I think I didnt describe my question properly. What if I have a finite duration sine wave (i.e. a pulse signal of M samples) corrupted by noise. The time of arrival, signal amplitude, phase, frequency and bandwidth are all unknown. I would like to use FIR filter to reduce noise bandwidth to improve probability of detection. In this scenario, what happens when the FIR filter length is longer than the signal of interest (M), but shorter than the overall number of samples available. I know that the filtered pulse signal will be distorted and the characteristics of the signal will be changed. But what I am interested in is how the signal energy vs. noise energy affected? When people do analysis on window function for DFT, we always talk about processing gain (processing loss to be more precise), because of the signal energy reduction introduced by the window function. But how come when we do filter analysis, we are not thinking in this way anymore? What is the difference? Can I consider my filter coefficients as a window function and start calculating signal energy that way? I read your first paragraph several times but, sadly, I was unable to understand it. You wrote that you have a sine wave sequence represented by M samples. OK so far. And you said the number of FIR filter coefficients is greater than M. Still OK so far. But then you wrote the number of FIR filter coefficients is "shorter than the overall number of samples available." Joy, what is this mysterious thing you call "number of samples available"? How is this undefined thing called "number of samples available" related to the M-length sine wave sequence? I'm not sure I'm able to answer the questions in your second paragraph in a meaningful way. Let me say this: If you multiply an N-length x(n) signal sequence by an N-length w(n) window sequence you produce an N-length product sequence p(n), where p(n) = w(n)*x(n). If you multiply an N-length x(n) signal sequence by n N-length h(n) filter coefficient sequence you produce an N-length product sequence q(n), where q(n) = h(n)*x(n). But in FIR filtering you sum the N q(n) samples to produce a *SINGLE* sample that I'll call y(n). So p(n) has N samples and y(n) is a single sample. So all I'm saying is that a single windowing operation is very different than computing a single y(n) filter output sample. I'll bet you already know all about this. FIR filter output sequence length = C + S -1 samples. FIR filter output sequence length = 7 + 20 -1 = 26 samples. Valid output sequence length = (C + S -1) -2(C-1) = 14 samples. My phrase "valid output samples" means output sample values that correctly represent the portion of the FIR filter's input that resided within the filter's passband. Let's say an S = 20 input signal contained spectral energy at f1 Hz plus spectral energy at f2 Hz, and f1 was within the unity-gain passband of the filter and f2 was in the filter's stopband. Due to filter transient behavior the energy of the 14 "valid" f1 Hz filter output samples would be less than the energy of the 20 f1 Hz portion of the filter input samples. But if S = 50,000 in the above scenario, the energy of the 50,000 -12 = 49,988 "valid" f1 Hz filter output samples will be practically equal to the energy of the 50,000 f1 Hz portion of the filter input samples. Joy, I have no idea if what I've written here is of any help to you. Thank you very much for your reply and sorry for not making myself very clear. I understand what you just said. I guess it probably doesnt make sense to filter a short signal with a long filter. This was your conclusion from previous post. I was just trying to understand what happens if I do filter my short signal with a long filter. For example, if S = 7 can C= 20, I still get 7+20-1 samples out of the filter, even they dont make sense fundamentally and they are just part of the 2(C-1) = 38 filter transient response. I was told to simply ignore those 38 samples during my university education. But now I have a system which does exactly that and forcing me to interrupt those data. (The signal duration is unknown to the system). Perhaps, I need to rethink my problem. Thank you for your time. 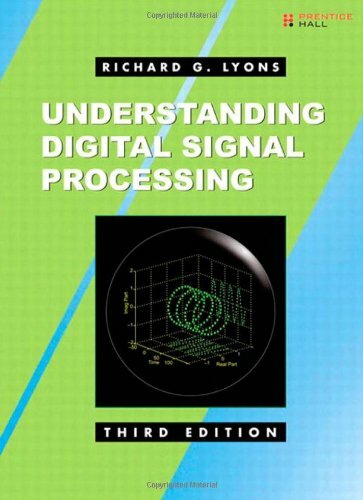 Love your Understanding Digital Signal Processing book by the way. Its awesome! The good news is that it's fairly easy for you to model, in software, the various filtering scenarios you're thinking about to see exactly how the output sequences of FIR filters are related to their input sequences. If you have further questions I suggest you think about posting them on the dsprelated.com Forum here. That way you'll receive multiple answers from various people, which is usually a good thing. 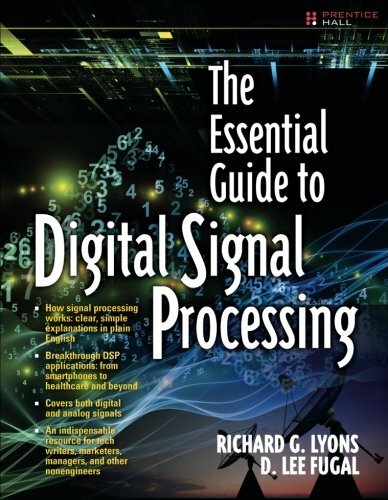 Joy, if you have a hardcopy of my "Understanding DSP"
and (2) the "Printing Number" of your copy of my book. You can determine the "Printing Number"
of my book by looking at the page just before the "Dedication"
such as: "Second Printing" or maybe "Fourth Printing". My e-mail address is: R dot Lyons at ieee dot org. Thanks very much, Rick. It is really great.